Remember the green plastic thingy that comes with your sushi? It’s called ‘baran’ and it serves both as a garnish and a divider between your futomakis and kappamakis. Now it’s time to grow your own: Shiso leaves are the real thing. Besides, they taste much better than corrugated plastic. 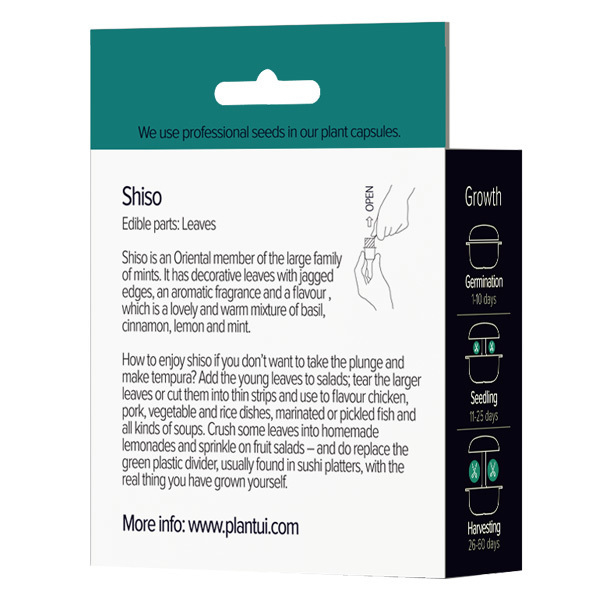 Shiso is an Oriental member of the large family of mint. 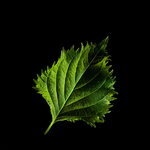 It has decorative leaves with jagged edges, not very different from those of a nettle. The flavour of shiso cannot be described fast: it’s a lovely, exotic and warm mixture of basil, cinnamon, lemon and mint. The taste is actually milder than the aromatic fragrance. Before people started to enjoy shiso for its taste, it had been a light source and a staple ingredient in the medicine cabinets. Many sources say that shiso was initially grown for its seeds, which were pressed for lamp oil. In herbal healing, shiso was valued as an anti-inflammatory herb and believed to be an antidote against food poisoning. How to enjoy shiso if you don’t want to take the plunge and make tempura? Generally, use it anywhere you would use mint or basil. Add the young leaves to salads, tear the larger leaves or cut them into thin strips and use to flavour chicken, pork, vegetable and rice dishes. Shiso could just be the thing when added to marinated or pickled fish or as a garnish to all kinds of soups. Try crushing some leaves into homemade lemonade or sprinkle on fruit salads or other cold desserts.